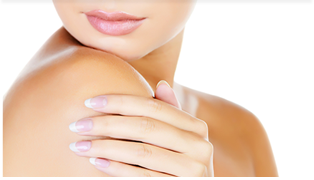 Fractional laser skin resurfacing can safely treat a wide range of skin issues in patients with varying skin types. At Piedmont Plastic Surgery in Greenwood, South Carolina, board-certified plastic surgeon Dr. Ted Vaughn employs the Matrix Fractional CO2 laser to provide you with the most advanced and effective laser skin resurfacing treatment. To find out how laser treatment can refresh your skin and rejuvenate your complexion, please call 864-223-0505 today. The laser skin resurfacing technology utilized at Piedmont Plastic Surgery allows Dr. Vaughn precise control and the ability to customize treatment to your specific needs and skin type. The Matrix Fractional CO2 laser directs tiny pulses of light into the dermal layer of your affected skin area, leaving your healthy skin intact. These penetrating columns of light help stimulate your natural collagen growth and will leave your skin feeling smooth, more youthful and healthy. This state-of-the-art technology also reduces the recovery time associated with other laser skin resurfacing treatments while producing superior results. Depending on the depth and concentration of your specific treatment, recovery from laser skin resurfacing may take four to 10 days. During this time, avoiding direct sun exposure and using a topical cream supplied by our office will help speed your recovery. Dr. Vaughn will thoroughly review your recovery guidelines with you prior to your laser skin resurfacing procedure. To learn more about laser skin resurfacing and other skin care options, please contact Piedmont Plastic Surgery by calling 864-223-0505 to schedule your personal consultation with Dr. Ted Vaughn. We welcome patients from Greenwood, Greenville, Anderson, Columbia, and Laurens, South Carolina, as well as Augusta, Georgia.